Michela Bogoni was born in 1973 in Verona, northern Italy. She started to draw when she was a child, she sold her first work at the age of 15 and painting became her job quickly when she was studying at the Venice Art Academy. Her main interest is the face, the life that sprouds from two eyes looking to you. She paints portraits made by oil on canvass but also chalks and dust on the floor. 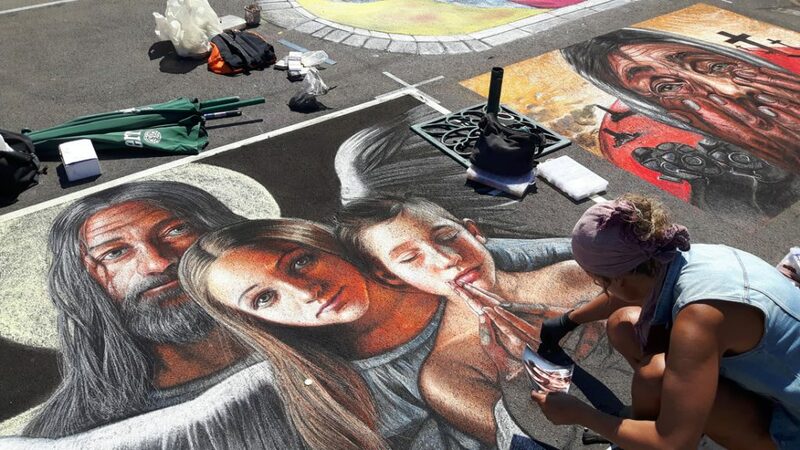 She won the Grazie di Curtatone street art festival in 2015, and the 2°Oyonnax street art festival, France, in 2018. In this year she began to do a workshop on portraits, in Italy and outside it.